So happy you did this because I love having a list like this to help me pick some cozies. I have seen The Deep End and Meet Your Baker around and might give them a try. I nee to read more cozies!! Great list! I really do love a cozy mystery, even though I haven't read one in awhile. I read a Victoria Laurie cozy mystery last year I think. It was about a psychic. So much fun! When I was in college I read a ton of these Angie Amalfi cozy mysteries. I loved those! You know I like some cozies and am upset about the sudden demise of some cozy series and laying-off of cozy authors. Too bad! 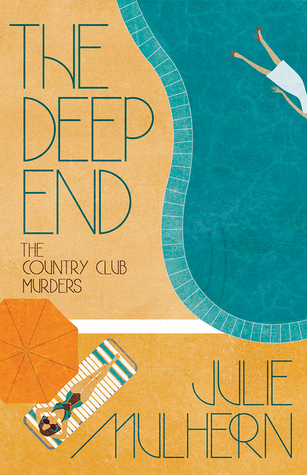 I have the first Country Club Murders book-- why haven't I read it yet? Can't answer that, but I do want to soon. Most of these titles I already have on my wishlist courtesy of your blog, lol. Good picks! 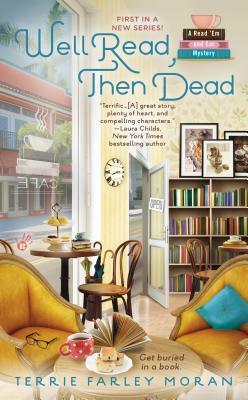 I read Well Read, Then Dead-- a great setting, a bit of silliness, but overall a good book. Pall in the Family and Meet Your Baker really appeal to me. I'm glad you'll have people talking about cozies after reading this. The very first cozy I ever read was Murder on a Girl's Night Out, the first of the Southern Sisters mysteries, by Anne George. They got me hooked 18 years ago and I have reread them many times. The sisters seem like family. 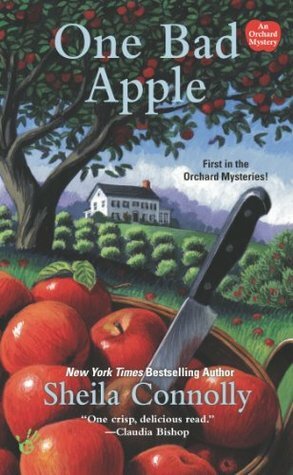 I also really like the Apple Orchard series by Connolly. I love the Southern Sisters mysteries by Anne George -- I re-read them also. I really miss her! Would you believe that I've only read one of the books you listed above? Shows just how many great cozy series there are out there. I will confess that I have the first book in a couple of those series in my TBR pile, and I have read plenty of Jenn McKinlay, just not the library series. I need to branch out to some of these obviously. I love mystery novels and sometimes you need a cozy one to keep you going! Great list! I haven't read any of these but I will need to check them out. Thanks for the post. I found 2 'new to me ' series. Just what I needed-more books for my to be read list! Love this list. Now I have even more books on my TBR list. Love my cozies. Cool topic idea! I never think of mysteries as cozy, but some are. I would add the Aurora Teagarden series. 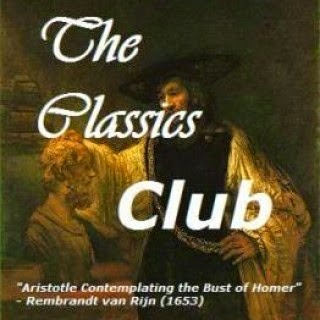 The country club murders is the one that screams the loudest at me. I didn't know cozy mysteries were in danger (and rages as I'm just getting in to them!) so I will check out that link. LOL, you are my main source of new books to try out as I have most of these on my TBR. I added the apple orchard series. Great idea for this week's 10! I'm adding these to my list. Great list, Katherine, and way to go for using today's TTT to highlight cozies - very timely! I've read at least some books in four of these series (Library Lovers, Family Fortune, Mainely Needlepoint, Read 'Em and Eat) and want to try the Potting Shed, Orchard, and Haunted Home Renovations series as well. If I were making a similar list, I would include the Soup Lovers series and the Cait Morgan series. Happy reading! "Gateway" is the perfect way to describe the Country Club Murders. And the author has a new one Clouds in My Coffee to be released next month. Yay! Oh my goodness! I love the idea of a bookstore/cafe. Could someone please make one of these? Until then, I must check out this series. In my head, I always think I don't like cozy mysteries. And then I read one and it turns out I do like quite a lot of them (except the foodie ones, for some reason those seem to rub wrong). I'll have to check some of these out! Love this,sort of like getting to read my competition, which is always a good thing to do! I loved the Country Club Murder series...hope to get Book 3 when it comes out. Thanks for sharing. I had no idea what was going on with cozies. Thanks for sharing the link. I haven't read any of the series that you listed and will need to check a few out. I am definitely neglecting this category of books. So glad I found this list. I love cozy mysteries. Thanks for sharing this. Well you know I don't read cozies. But I do consider you The Queen. So I would of course turn to you when I wanted a recommendation. But this list is great. I fully trust you to tell me where to start. Based on gut feeling, I'd have to go with the on set in the bakery for obvious reasons. I may or may not have just squealed in delight after stumbling across your top ten list featuring cozy mysteries (okay, okay, I did just squeal in delight). I discovered to joy of cozy mysteries last year after finally becoming a member of the local library. I never expected to enjoy the genre so much, but it bring me so much happiness! That being said, I still feel like a total newbie, so I never know what books to check out. 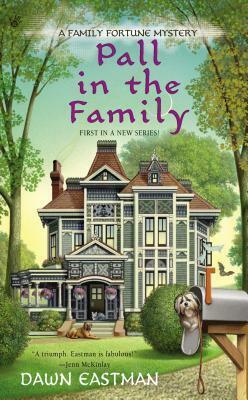 I definitely plan to keep an eye out for The Family Fortune Mysteries (because I'm a Michigander myself), Library Lovers Mystery (because I love libraries, obviously), and Haunted Home Renovations (because I'm a sucker for a little paranormal in my cozies)! 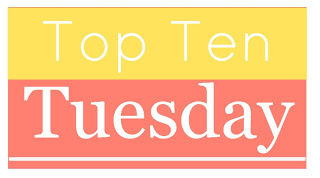 Great lineup and sorry I missed this Top Ten Tuesday! I am an avid fan of cozies so I may do a post even though it's late... Thanks for posting your choices! I *love* cozies. I hope they never go away. I haven't read any of these yet, but a few were already on my radar. Will be adding more books to my TBR for sure! Gotta try Knit One, Kill Two, it was a pretty good cozy. One of my faves was Knit One, Kill Two. 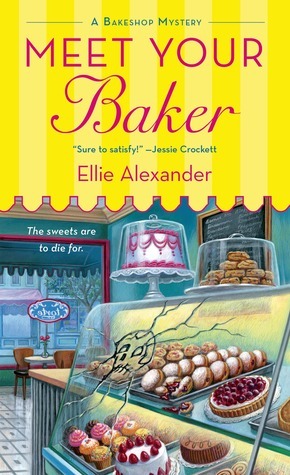 And Joanne Fluke's Chocolate Chip Cookie Murder! !